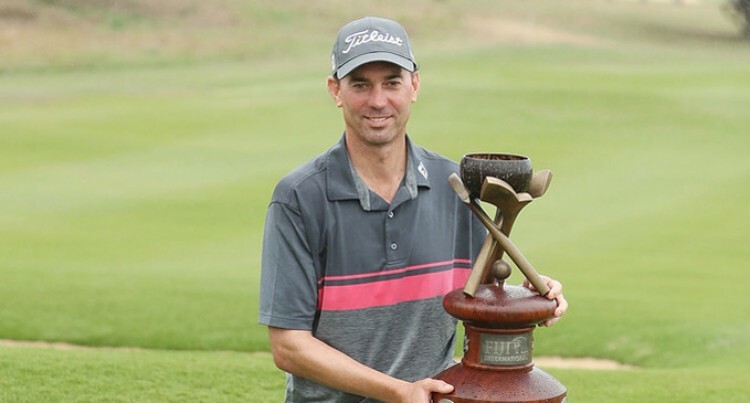 Having players like Ernie Els and Vijay Singh has height­ened the credibility of the Fiji International Presented By Fiji Airways, says Jason Norris. Last year’s Fiji International win­ner said it was a great thrill to be back playing with two big names in the game who continue to lift the profile of the sport. “It’s all happening here. The weather’s perfect and the course is great so it’s just awesome to be back,”he said. Norris agreed he was pleased to come back as defending champion to a tournament like this. “I’ve defended secondary tour events and it’s great fun, but this is the next level and it’s just good to be back and so much media is al­ways good for us. Norris said this year’s tourna­ment had a great field. “Ernie’s come over and obvi­ously Vijay’s back again, which two world class players obviously we’ve all grown up with. Norris said coming back to Nat­adola will definitely help him as he was presently trying to find some form. On his injury, Norris said it started coming good the last three weeks to a month, which was good for obviously this week and the re­mainder of the year, but he strug­gled early on in the year. “Well, my goal was to finish off my career in Asia, so I’m looking forward to getting there maybe next year or maybe the year after, depending how I go in Europe. On the course at Natadola, Norris said he had been told it was in bet­ter condition than last year, which he said was amazing.